Summer officially comes to a close this Saturday, but that doesn't mean summer lovers can't enjoy one last thrilling — and free — adventure. 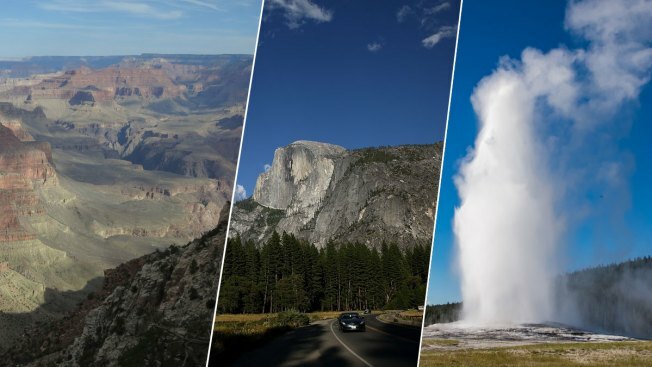 Saturday marks National Public Lands Day, which means people can pay a visit to a national park without actually having to pay an entrance fee, according to the National Park Service. National Public Lands Day "celebrates the connection between people and green space in their community, inspires environmental stewardship, and encourages use of open space for education, recreation, and general health," according to the NPS. This year, the event is focused on the restoration and resilience of public lands across the country. Aside from trekking to a national park, folks can also celebrate National Public Lands Day by participating in a volunteer work project. Volunteers will be treated to a coupon that they can use to enter a national park free of charge on a future day. National Public Lands Day occurs annually on the fourth Saturday of September, according to the NPS. Saturday will mark the 25th anniversary of the event. After Saturday, the last entrance fee-free day this year at national parks is Veterans Day on Nov. 11, according to the NPS.